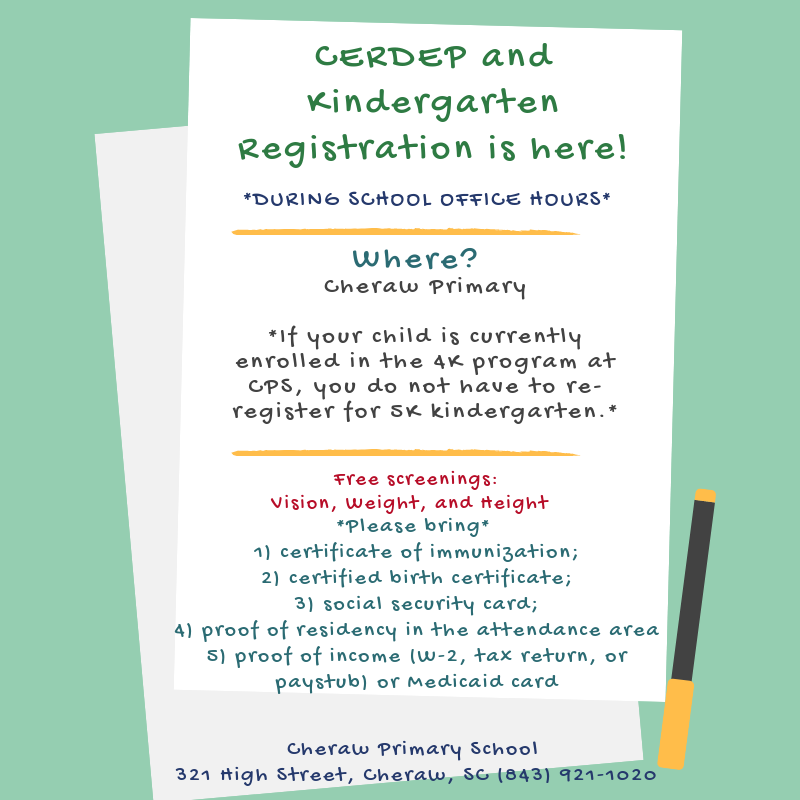 CERDEP and Kindergarten Registration Is Happening Now! 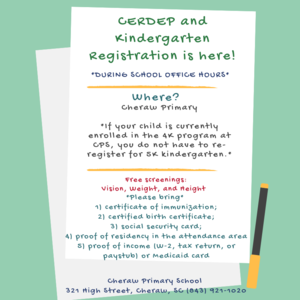 CPS is currently registering students for four and five year-old kindergarten. Sign your child up in the main office today.